--To have started watching The Crown on Netflix. It's really good. --To be glad that a lot of my shows are coming back from fall break this week. --To have watched Sully with my husband over the weekend. I didn't realize all the crap Sully went through. --To have booked our fast passes for our trip to Disney. Yay! --To be ordering Natalie's classroom Valentines from Etsy. You can get original things there. --To think these new cereals are delicious. I do love my Girl Scout cookies, that's for sure. I love this post. It's hilarious! I'd like to make a "hey. 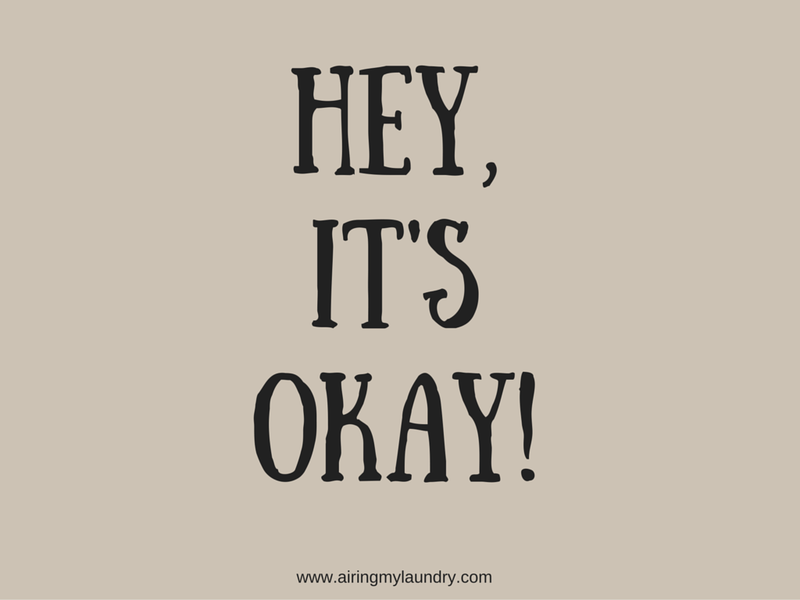 it's okay" list just for fun! I just started The Crown too!! I am excited for my shows coming back too. I miss when shows didnt't take fall breaks. We are going to Disney this summer, I can't wait to get our fast passes! Omg I am so glad Scandal is coming back next Thursday! The Crown must be good, my daughter who does not like historical/ period shows, texted me she loves it too. I love cereals and I love to try different and my kids as well. I think my family will love the ones who have shared in the post. Thanks for sharing. 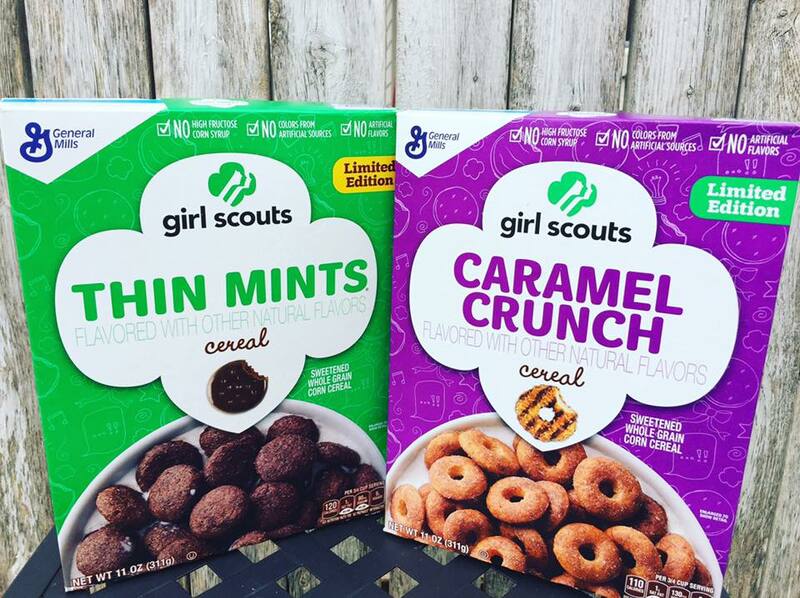 Wait - Girl Scout cereal? Oooh. I need to start on The Crown as well, but Homeland just started, so.... Argh! Too many shows to watch! The Crown really is so good!!! Netflix hit the nail on the head with that one. We watched Sully recently too. Good movie. Hope you got some good fast passes! Grey's and Scandal aren't coming back this week. I'm so bummed. They pushed them off due to the inauguration. At least This is Us is already back. Ha! My husband and I have been watching some movies lately and he refuses to watch SULLY. Perhaps I should convince him! Everyone says it's so good! I'll have to look for the Girl Scout cereal! It looks delicious. Have fun on your Disney trip! Always nice to have fast passes, although we always remind our kids we had to wait in hour long lines in our day. Lol! Oh man I didn't know that GM made girl scout cookie cereal. Definitely will be looking for those at the grocery store. Loved the crown. But watch La La Land if you haven't! Girl Scout cookie cereal?! OMG! I'm excited for my Fall shows to come back this week, too! What a fun list! I watched Sully just a few weeks ago. I, too, was surprised at all the hearings that he had to endure. I've never heard of Crown. Although, We don't have TV or Netflixs. But still, I usually I hear about the latest shows everyone is watching!! Thin Mints are so yum. I think I just gained 10 pounds. Where do find the Girl Scout cookie cereal. That's awesome that you are going to Disney! I haven't seen the Crown, but I've been told it's good. Where do you get the cereal...I need it! The crown is now one of my favorite shows! You have to finish the first season, it is really good! I love the taste of that caramel crunch cereal.I wanna have some stack of this for breakfast. I love cereals for breakfast and this looks delicious. I love the concept behind your post! 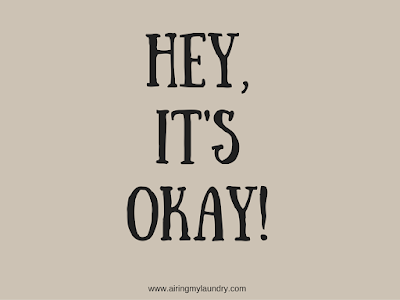 It's totally ok! lol And, thank you for the intro to the Girl Scout Cookies cereal. I'll be on the lookout for those! Thats awesome that you guys get to go to disney! Scandal comes back next week, I'm excited about that. I didn't know there was Girl Scout cereal now, I have to try it! Yippee for fast passes to Disney also! Even though I have not watched The Crown, Hey, It's Okay because I read the book. The story line of the book is based off of Queen Victoria’s diaries and also follows the TV series, Victoria; both of which were written by Daisy Goodwin. I haven't started watching The Crown yet, but hey that's okay because I'm still watching some other random TV show haha. I can't wait to start though! I've never seen it yet on Netflix, I'm sure that kids will having fun at Disney! That cereal!! What! I have NEVER seen that! And I really want to see Sully! Good post, brings the fun to blogging. I am excited for my favorites to come back as well so I can binge watch on off days. Still have not seen Sully as of yet but it is football playoffs right now. I have not seen those cereals before!!! I am going to have to have find some and get the Thin Mints! What a great idea. Sometimes we need to give ourselves a break. And those fast passes for Disney are awesome. I used them when I went there. I hope your guys have a lot of fun at Disney! It's definitely worth it. This is my first time seeing that brand of cereal, sounds good though! I love this. I still haven't seen Sully but I really want to! Did you like it?! I never would have thought to get Valentines thing for the class from Etsy. That is such an original idea. I'm also super glad my shows are coming back. I love the idea of making this list. Girl Scout Cookie Cereal?! When the heck did they start making those? I NEED some in my life! Didn't know there are now Girl Scout cookies so I'll keep my eyes open & try them. Seems like a fun idea although I'm pretty stuck on my daily bowl of oatmeal with walnuts. I love that you're getting Natalie's valentine's from Etsy; Etsy is amazing! Also, those cereals look delicious! Love this list! Disney will be so fun! I used to work there. Those fast passes definitely come in handy! Love your post...Definitely okay to be doing these things...Simple pleasures in life. I love TV shows as well, so good to watch shows I love. The cereals look awesome. I think I'll go to Target today to get those and the new Strawberry Chocolate OREOs. YUM. My DVR is full again! After Christmas madness.. I want to hear what you're FastPASSing! This is the first year of four consecutive trips, in which we went on EVERYTHING we wanted to go on. those cereals look good and sweet. i am such a sweet fein.